This major release of FEKO 2018 is available with many new features and improvements. WinProp is now included as part of the FEKO HyperWorks installation. A new FEKO + WinProp launcher utility reduces the number of icons added to the Windows start menu. This utility contains options to launch the various FEKO and WinProp components. 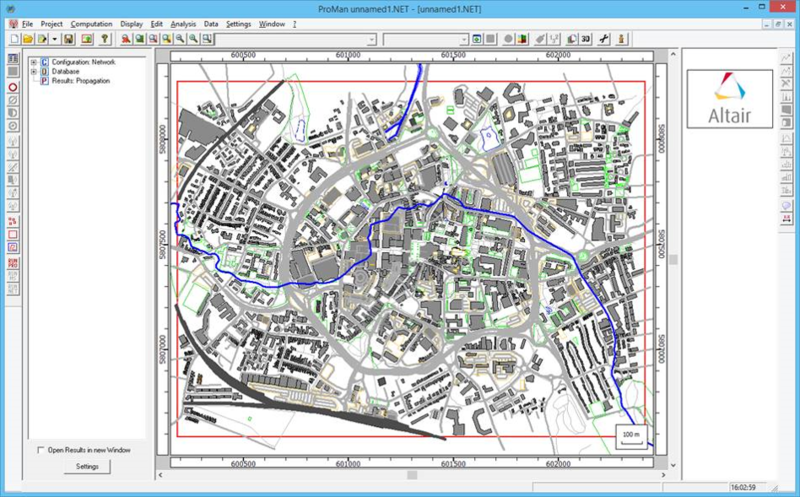 It also provides easy access to the FEKO documentation and the Altair licence utility. Characterised surfaces for the ray launching geometrical optics (RL-GO) solver greatly speeds up RL-GO analysis of complex multilayer structures. The hybrid FEM/MoM supports dielectric objects solved with the surface equivalence principle (SEP) in combination with dielectric objects treated with the finite element method (FEM), provided the regions do not touch. 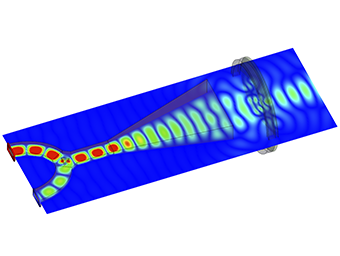 This can reduce the simulation requirements significantly for some applications. The ferrite circulator example below completed in half the runtime, using seven times less RAM than the FEM-only solution. A reference direction can be defined for a cable path. This provides precise control over cable orientations, instead of letting the solver search for the closest ground to the cable path. 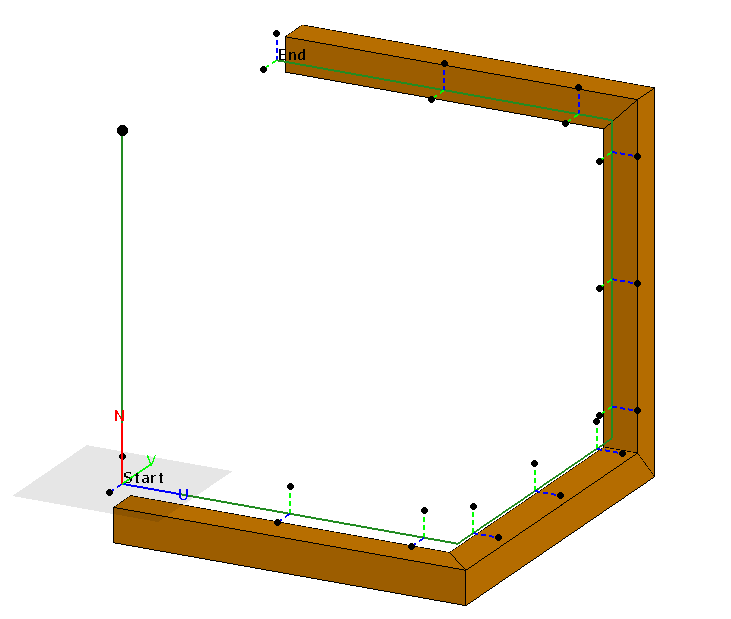 Error handling is improved for cables requiring a ground plane. 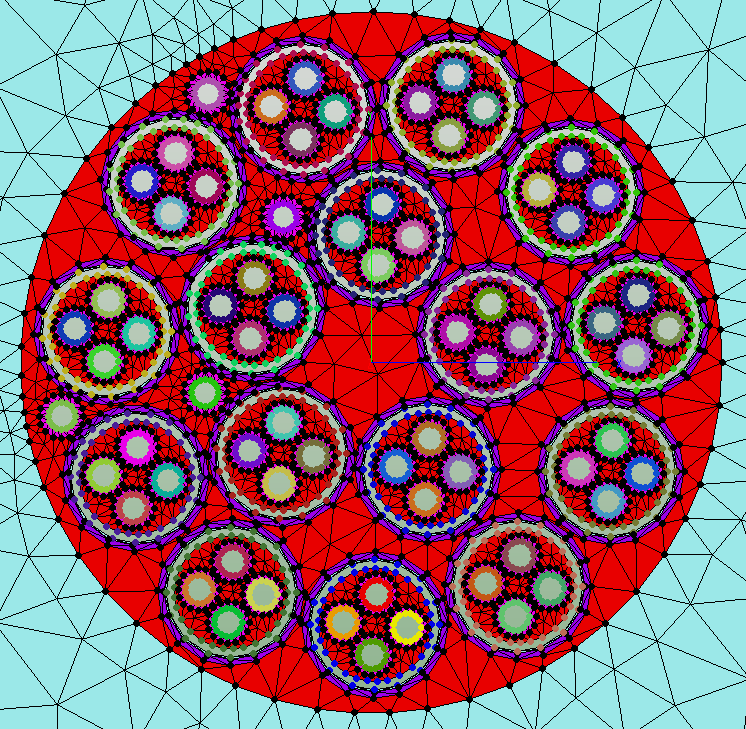 A newly developed cable cross section mesh library results in improved cable meshes, especially for cables close to geometry and for closely spaced cable conductors. N-port Touchstone files can be used as interconnections or terminations of cables. HyperSpice is supported as a SPICE solution method for cable and network simulations. This SPICE solver provides a great speedup compared to the NGSPICE solver that is also available in FEKO. Automatic meshing (Standard, Fine and Coarse) now yield different meshes for models where the mesh size is governed by the geometry curvature rather than the electromagnetic properties like frequency. Automatic meshing rules for metal faces between dielectric regions are relaxed to be more in line with practical requirements. Many performance enhancements and improvements to the meshes generated by the mesh engine introduced in FEKO 2017. A comprehensive check is added to detect overlapping or intersecting triangles when the solver is run. Mesh imports are extended to recreate, when possible, the parts and associated faces during the import process. Faces are grouped into parts as they were at the time of export. Imported meshes without labels will be grouped into an "UnknownMeshParts" part. The feature can be disabled to obtain the previous import behaviour yielding parts labelled "MeshImport". Improved DC estimation for time analysis. Graphs and displays are updated as adaptive frequency sampling results (results calculated over a continuous frequency range) become available. Support for surface graph point annotations is added. Quickly add an annotation to a Cartesian surface graph by holding Ctrl+Shift and left mouse clicking on a plot, or specify the horizontal and vertical axes values at the point of interest. The surface graph supports exporting results to a text file for further processing. The results can be exported to the clipboard using the Ctrl+X keyboard shortcut. Untracked characteristic modes can be displayed in POSTFEKO. A phase reference point can be set for a plane wave source (before the reference was assumed to be the global origin). The FEKO manuals are incorporated into the HyperWorks help format. The FEKO documentation is improved to be more task driven. The FEKO User Manual includes more information, for example, a new section lists common errors and warnings that may be encountered. Improved syntax highlighting of code snippets. The location of the help folder is updated to the HyperWorks help folder; for example, C:\Program Files\Altair\2018\help. Phase unwrapping support is implemented for receiving antennas. Support is added for changing the unit (V/m versus kV/mm) when displaying results in decibels. The FEKO far field file formats are extended to provide the polarisation angle in the block header. A new option is added to wait for available HyperWorks Units (HWUs) if there are not enough units available to start a solver job. Set the environment variable ALM_QUEUE_TIMEOUT to the desired waiting time (in seconds). Edge loads now take port polarity into account. 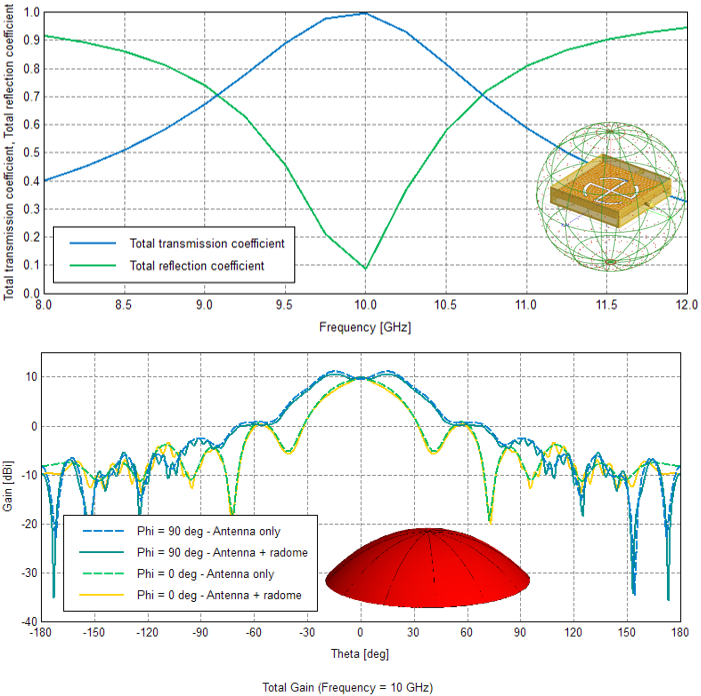 Edge loads are supported for finite antenna array analysis. 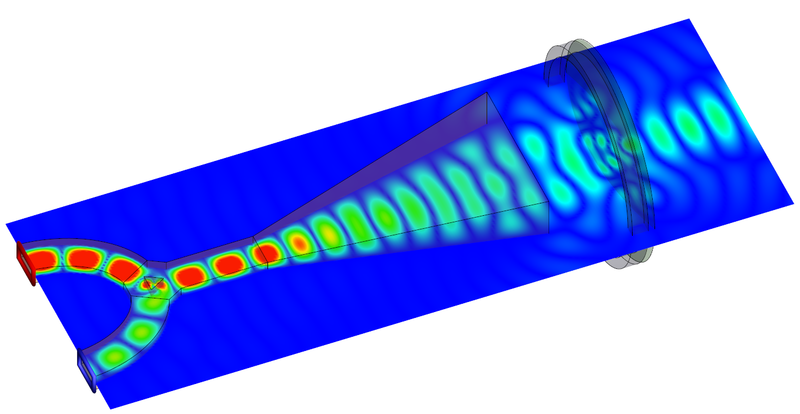 Higher order waveguide triangle basis functions are pre-calculated, resulting in large performance improvements for waveguide models utilising higher order basis functions. Pre-calculation was already supported for the RWG basis functions. Shared memory is expanded to further phases, resulting in more memory savings for the MLFMM. WinProp 2018 is included as part of the FEKO HyperWorks installation. The most notable extensions and improvements to WinProp are listed by component. 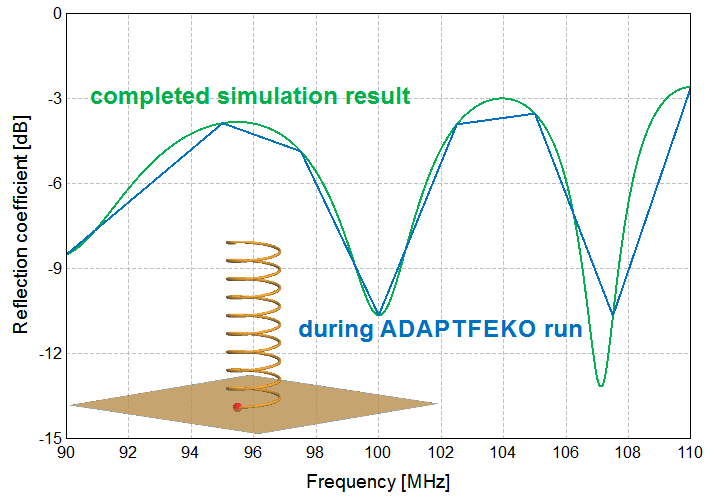 FEKO far field results (antenna patterns) can be imported in .ffe format. These files contain full polarimetric information, such as antenna patterns for theta polarization and for phi polarization, to increase the breadth of suitable WinProp applications. 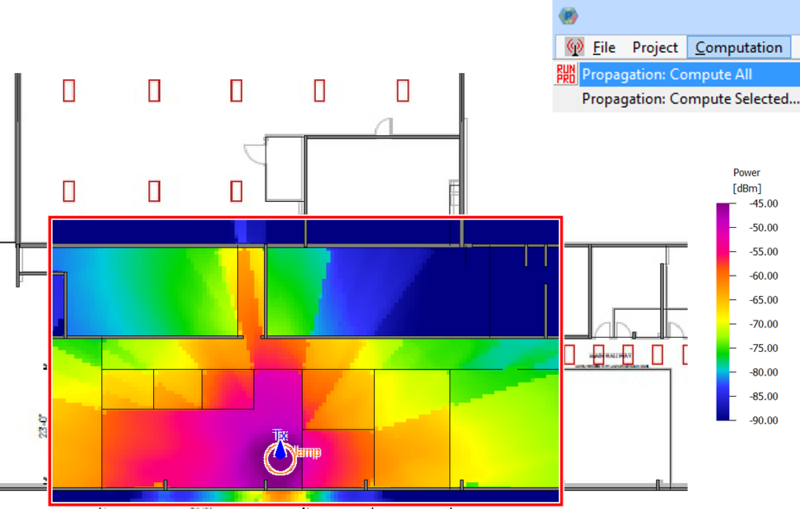 WinProp (using HyperWorks units) is included in the FEKO installation and gets installed to the same location. The FEKO bin directory and other folder structures are shared. The legacy licensed WinProp still requires a separate installation. Multiple concurrent WinProp installations are now possible. As part of the merger of WinProp and FEKO installers (for installations with HyperWorks licensing), administrative privileges are no longer required. WinProp now also supports a Student Edition. 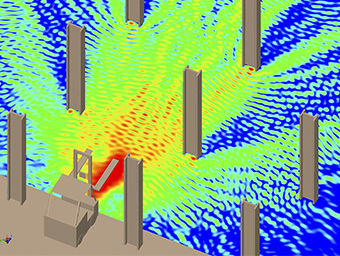 For rigorous analysis, the full angle-dependent polarization of both the transmitting and the receiving antennas are now taken into account in indoor and urban scenarios with ray-tracing methods SRT and IRT (provided also the option Fresnel/UTD is selected). Transmit power is limited to 120 dBm (1 GW) to avoid unintended consequences if an unrealistic value is entered by mistake. Projects can be exported along with antenna patterns and geometry databases into an archive without absolute path information. This facilitates the exchange of complete projects between different machines and users. For simulations with empirical methods, in addition to defining a polarization for the transmitter, the user can define a cross-polarization level. In addition to indoor scenarios, polarization of transmitters can now also be defined in urban and rural scenarios. A translator is added to convert data exported from OpenStreetMap (as .osm XML) into WinProp readable format. WinProp radio channel data can be exported to the ASCII format supported by Keysight Propsim. It is now possible to export and import the properties of sites, antennas and cells. These properties can be read directly from a saved project file into another project. This saves time when setting up new projects that are similar to existing ones, and reduces the chance of errors. For RunMS postprocessing, multiple trajectories can now be handled. A velocity profile can now be included along receiver trajectories in the Virtual Drive Test (RunMS), so Doppler shift is added to the results. 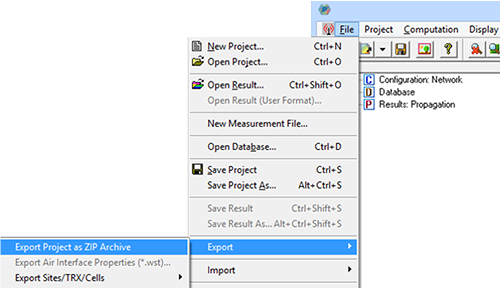 WallMan offers new shortcuts for the conversion of vector databases. Two antenna patterns, one for theta polarization and one for phi polarization, can be converted into one pattern in .ffe format with full polarization information. The original antenna patterns can be in several formats, such as .msi, .apb and .apa. A superposition of antenna patterns at one site can be created into one antenna pattern at that site. This avoids having to run a simulation more than once. A sample project developed in Visual C# shows how the WinProp API can be called or implemented in C#. The WinProp API can now be used under HyperWorks Units (HWU) licensing.